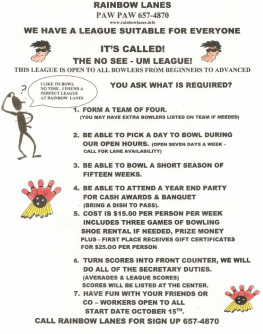 Want to bowl in a league but your schedule won't allow it? We have an answer- The No See 'Um League! Bowl during open bowling hours and turn your scores into the front desk. We keep track of the league standings.